A lot of Call of Duty fans are more excited over the remastered version of the original Modern Warfare than Infinite Warfare’s future shenanigans, but they can’t have one without the other. Either a full digital purchase of Infinite Warfare or the physical disc is required for the remaster to run. Modern Warfare Remastered is a standalone downloadable game only available to players who purchase a special edition of Call of Duty: Infinite Warfare, a fact that’s rubbed many players looking to score the remaster on its own the wrong way. One possible solution would have been to purchase Infinite Warfare at retail, use the code to download the remaster and then sell/trade-in the newer game. According to wording on the Modern Warfare Remastered website spotted by Charlie Intel, that’s a no-go. 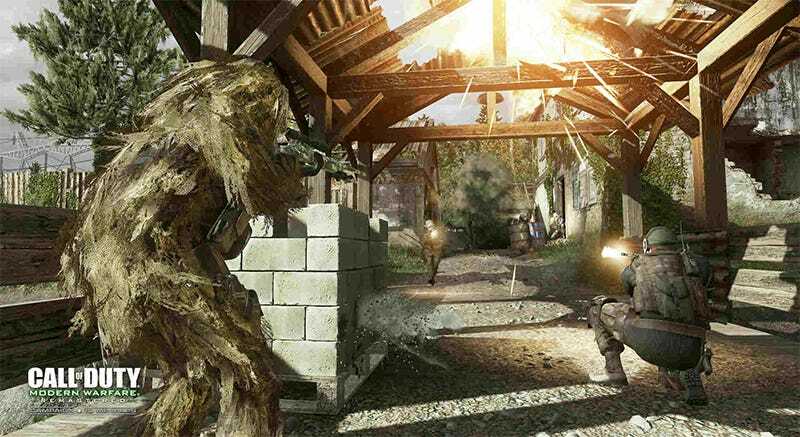 At launch, Call of Duty: Modern Warfare Remastered will contain only 10 MP maps from the original Call of Duty: Modern Warfare game. Additional MP maps will be made available by 12/31/2016. Modern Warfare Remastered is a full game download (game disc must be inserted to play Modern Warfare Remastered). Players who purchase the digital special edition of Infinite Warfare will not require a physical disc of course, as their ownership is pretty much irreversible. PlayStation 4 players who have purchased the Infinite Warfare Digital Legacy or Digital Deluxe edition will automatically gain access to the Modern Warfare Remastered campaign on October 5. Retail customers who have pre-purchased the game through participating retailers (GameStop, Best Buy and Walmart in the U.S.) will have to complete their purchase (pay in full) in order to receive a code to download Remastered.